It’s all about communication, no matter the species. Oh. My. God. I could not believe my ears. Every year I like to take a break from the stress of modern life and escape to Puerto Vallarta. We were in an Olympic pool there, about to have a thrilling experience getting on the belly of a large and beautifully trained dolphin Yagala for a fun ride when a terrible argument between a French couple burst forth. She was saying that she was afraid and did not want to go ahead. He was upset at her about all the money they had spent coming all the way from Nice to have this opportunity. Even though I had been asked to act as translator by the trainer, I kept my mouth shut. The explosive energy, just by itself, was telling enough. So, the poor lady reluctantly grabbed the fins of this imposing mammal and mounted it. To everyone’s surprise, Yagala gently swam in a small loop and returned her safely to the trainer. I was next and very moved. Dolphins are magical and so in tune with us, human beings. I was telepathically telling Yagala how wonderful this had been. Then, In the excitement of finding myself on the belly of this majestic creature and zipping through the white waters, I was nervously laughing and telling the dolphin how grateful I was. Yagala responded with sounds resembling the cascade of my laughter. We both laughed and got more and more on the same wave length until I found myself back to the departure point. My son asked me then: What did you do, mom? You were the only one who got a ride to the corners of the pool? I let him ponder over this while thinking, I just asked. Marine world in general, Puerto Vallarta, in particular, is my favorite place to explore. 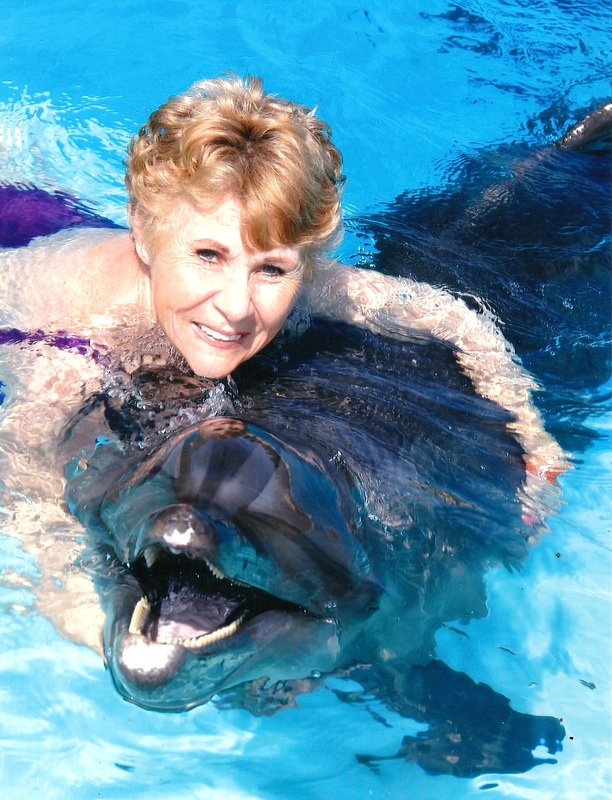 I have had the privilege of having many interesting encounters with dolphins and sea lions. Once I announced mentally to a pool of dolphins: I want to play with you. Can we do something special? The whole session unfolded pretty much according to protocol. The very last activity consisted of two dolphins pushing our feet, legs stretched out with their noses across the pool at great speed while we held on to a wood tablet. As usual, because I travel by myself and go to the pool alone, my turn was last. The ride started as it should. I was cutting through, generating white water when suddenly it slowed down and I was projected in the air, diving back in the waters. When I surfaced, the dolphins at my side were twirling in the air and people on the side of the pool were cheering and applauding the show. Oh — what fun. Last time I went, four of us — people — interacted with a 600-pound baby dolphin, Kalea. She was intensely following the commands of her trainer. I was trying to get her to respond to me but she was not paying attention to me. So, I repeatedly sent her love and accepted that my communications would be left unanswered. When it was over, I got out of the pool, my back turned to the dolphin. I thanked the trainer, telling her what a good trainer she was as it was obvious that she was having a heartfelt relationship with Kalea. She adored Kalea and Kalea was returning the favor. Suddenly, I turned quickly around feeling like someone was observing me. It was Kalea, staring at me with her head above the side of the pool. Kalea was saying good-bye. I gently walked to her and petted her a last time. I was leaving with my heart filled with exhilaration. Animals are our silent teachers and healers. They are here for a purpose. 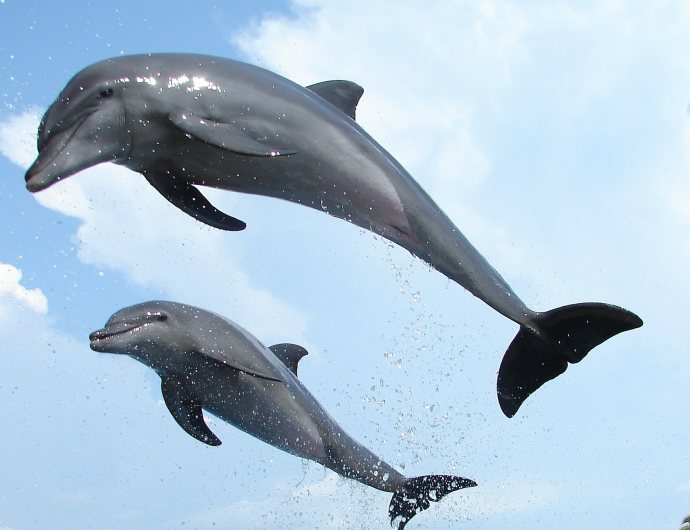 Dolphins are teaching us that life is a game. Let’s not take ourselves so seriously. Let’s play and be happy. Their perpetual grin is telling, isn’t it? Yes, it’s not a coincidence. Dogs’ unconditional love gets us through our worst moments. Unfortunately, so many people abuse them, yet dogs go back to their abuser with a lick and a happy tail shake. Cats are here to model what it is to live on one’s own terms. Miss Kitty, even when she knows that she is adored and spoiled beyond measure, will walk right by you when called, and not even give you the time of the day if it pleases her not. Why? Because she has her own agenda and won’t digress from it unless she really wants. The lesson? Stay in our own power instead of giving in to the demands of others. After all, there is not much one can give from a disempowered place, is there? Indeed, we can’t give from an empty cup. Let’s love and honor ourselves first, then honor the needs of others. The quality of relationships with others depends first, and foremost, on the quality of the relationship we have with ourselves. Last but not least, let’s thank our animal friends for their wonderful teachings!